Can this sub-forum be updated? I think this has been mentioned before, but AniZona has been gone since 2009. At the current time, the biggest anime convention in Arizona is Saboten Con. Can this sub-forum be updated so it says Saboten Con instead of AniZona? I would love to but it appears only Admin has the ability to update the subforum titles. :( You would have to try to make a request to him - as time goes on, cons come and go and there are a few dead/changed conventions that we still have listed as subforums, unfortunately. I've been trying the past two years to get them to change it to Phoenix Comicon, we also could use one for Saboten. But no luck. So I don't think it will happen. 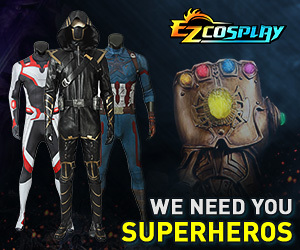 Think we can get one for Phoenix Comicon? That's the one that has been active and going since 2002, where as Sabo has only been going since 08. :/ Was hoping this would be the PCC one, since you have them arranged by time and this one is around the same as AniZona was. If not, than oh well. It would have just been nice since they refuse to give us a forum for decent reason. Ah, thanks for the change.